Question. (1) An error in the program that produces incorrect or inappropriate results is called what? प्रोग्राम में त्रुटि जिससे गलत या अनुपयुक्त परिणाम उत्पन्न होते हैं, उसे क्या कहते हैं? Question. (2) What is the primary purpose of the software to convert the data into? सॉफ्टवेयर का प्राथमिक उद्देश्य डाटा को किसमें बदलना है ? Question. (3) What is there a process to find errors in the software code? सॉफ्टवेयर कोड में त्रुटियां ढूंढने की एक प्रक्रिया है? Question. 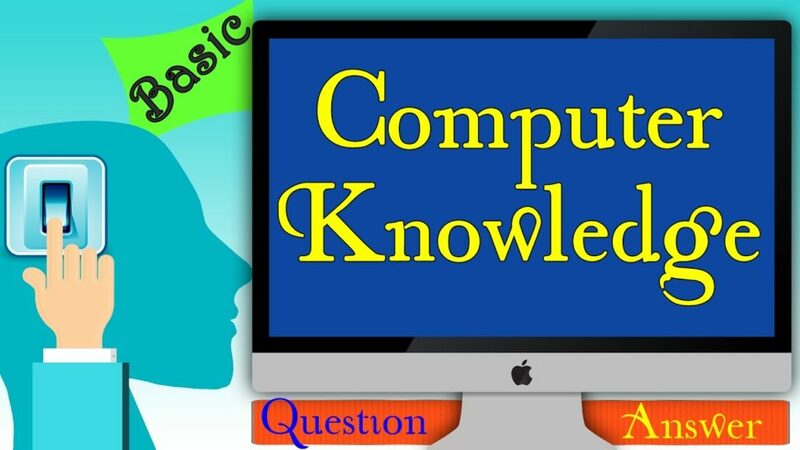 (4) The physical structure of the computer is called? कंप्यूटर की भौतिक बनावट कहलाती है? Question. (5) What is the full name of DOS? DOS का पूरा नाम क्या है? Question. (6) Does it have odd words? Question. (7) When did Unix develop? यूनिक्स का विकास कब हुआ? Question. (8) What is Unix’s main language? यूनिक्स की मुख्य भाषा है? Question. (9) Which software is used to work on a computer? कंप्यूटर में काम करने के लिए किस सॉफ्टवेयर का प्रयोग किया जाता जाता है? Question. (10) Which software controls the computer’s hardware? कौन-सा सॉफ्टवेयर कंप्यूटर के हार्डवेयर को नियंत्रित करता है?